Acacia is our most ample cottage, containing three bedrooms, comprising two queen beds and two single beds. With a spacious kitchen, comfortable living area, and large veranda, Acacia is perfect for a group getaway. Guests are welcome to explore the bush surrounding the property and use the communal barbecue facilities. Firewood is provided for atmospheric slow-burn wood heaters. Did you know: Acacia is the botanical name for Wattle, Australia’s floral emblem. For spectacular wattle displays visit the Surf Coast in August/ September. "Absolutely amazing place. So quiet and tranquil. Set among the bush. About 1.2km away from the beach. Highly recommended and will stay there again. Thank you." What a lovely mix of bush and beach. Enjoyed some good walks and the beach was great, very relaxed and great setting for a restful holiday. We will certainly return. - magpies hide moth/bacon rind that is surplus in flowerpots! So much else to discover in this wonderful retreat. 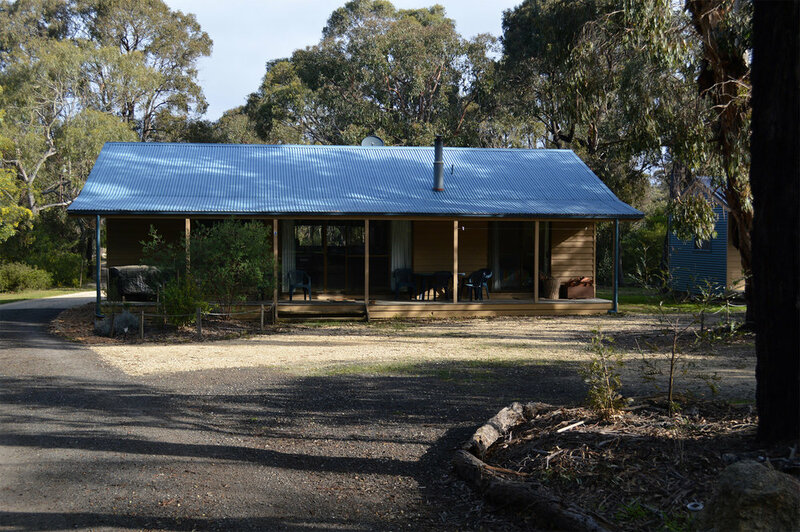 Enjoy a bushland escape and discover our abundant bird life.